XM is one of the forex trading platforms trusted by many people. More than 700,000 clients in the worlds are using the platform. Click on Open a demo account on the screen. Fill in personal information in Latin characters. Please be noted that fonts displaying Vietnamese characters are not supported. City / Town: In the case of demo account, only enter “City”. E-mail: Because log-in details will be sent to the email you use to register, please enter correct email to receive information. 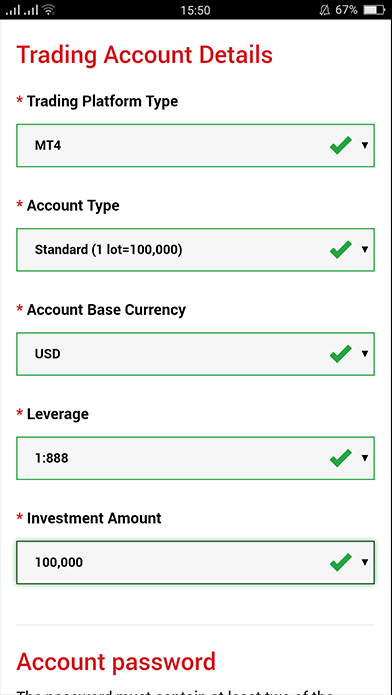 Select a preferred account type. Basically, there will be no problems if you select the options below. “2. Trading volume”, you can practice better if you select the volume closer to your actual investment size. TIck the box, then click on“Open a demo account”. 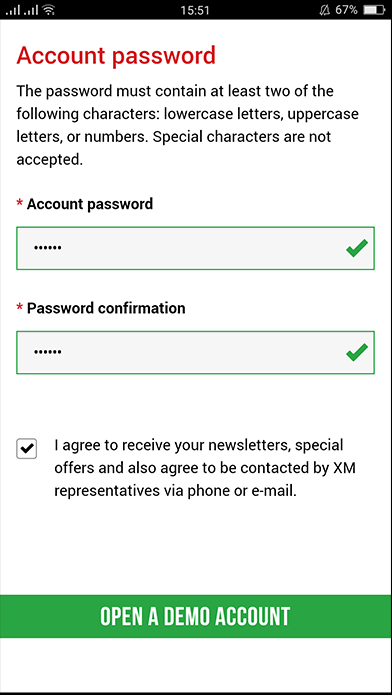 You will receive a confirmation email from XM to the email you registered with. 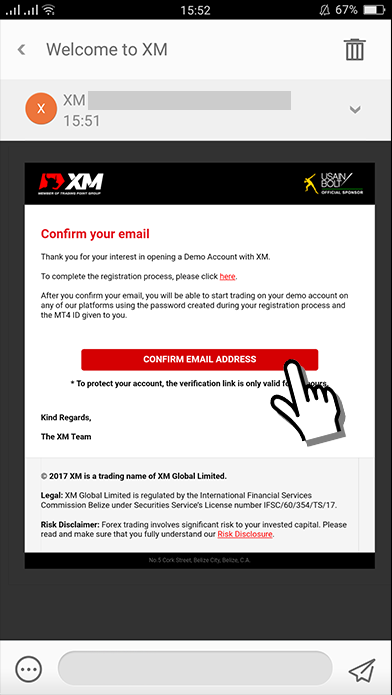 When you click on “Confirm”, the screen will show a confirmation message that you have officially registered for a demo account. You will also receive an email with log-in details at the same time. Within 3 steps above, you have completed registration for a demo account. You can trade Forex by enter 3 pieces of information“1.Account”, “2. Password for registration” và “3. 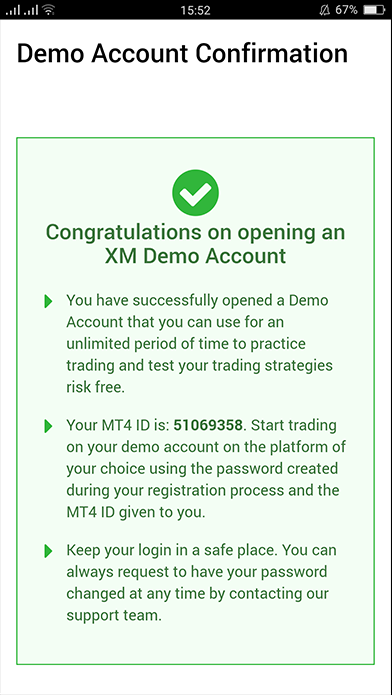 Server” has been emailed by XM to MT4 (Forex trading platform). 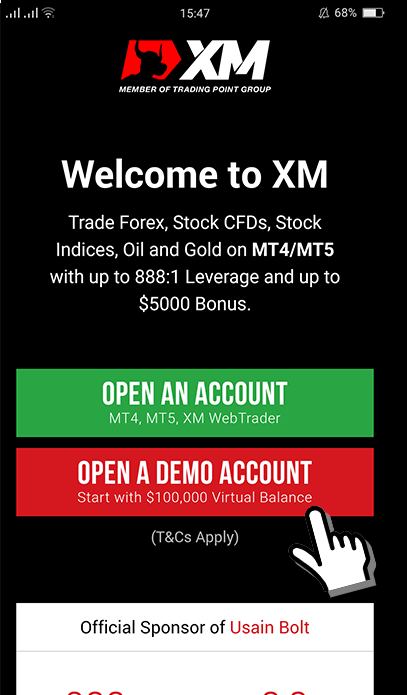 Moreover with “MT4 (MetaTrader4)” trading platform installed on your smartphones, you can check forex quotes and trade in real time. (MT4 is also available for PC download).